CooksRecipes has quality, kitchen-tested recipes that you can count on for accuracy and deliciousness. 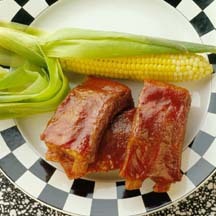 Find recipes for baby back ribs, spareribs, riblets and thick-cut farmer-style ribs. If you don't have a favorite homemade sauce, 'doctor' up purchased sauce with flavorful ingredients like chili powder, soy sauce, fresh gingerroot, honey and hot mustard. 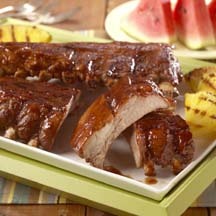 These scrumptious baby back ribs have double the flavor with a dry rub and a great doctored barbecue sauce. 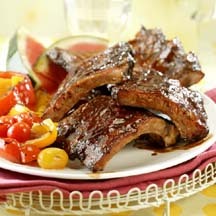 Mama Haul Out the Bibs Ribs!